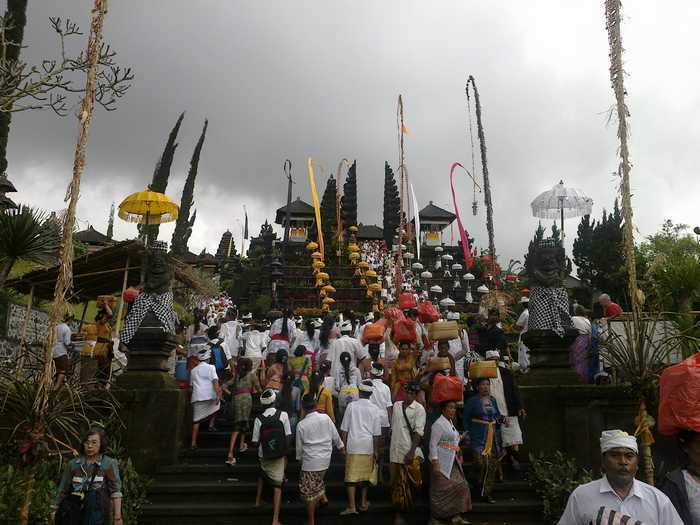 A few months ago, I went to Besakih Temple, to follow the religious ceremony at the Besakih temple. Besakih Temple is located in Karangasem regency, Bali. Sektar 90 km from the city of Denpasar, and can be reached about two hours away. If the condition is not jammed. Besakih temple is the largest temple in Bali, and is the main temple of all temples in Bali. When I attend a religious celebration at Besakih, the atmosphere is very crowded. 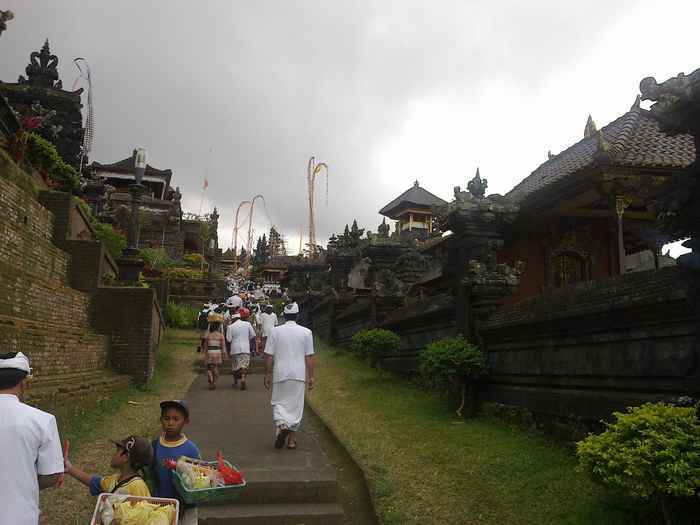 Many Balinese people come to pray. From children to the elderly blend into one. The beauty of the temple is very visible when the celebrations. Besakih Temple looks colorful, vibrant. The air was very cold now. Atmosphere overcast but not raining. The weather as it was very supportive to perform worship at Besakih. Because if the air is bright with the sun is very hot, the people who do worship will be very hot. Yet ironically, in the midst of a large celebration, amidst the people, there is a little boy wandering around a pickpocket. Many people who lose their jewelry and wallets during worship. Worship at Besakih temple is not just one alone. But also performed in other temples in Besakih. And worship in different temples, performed by one lineage.